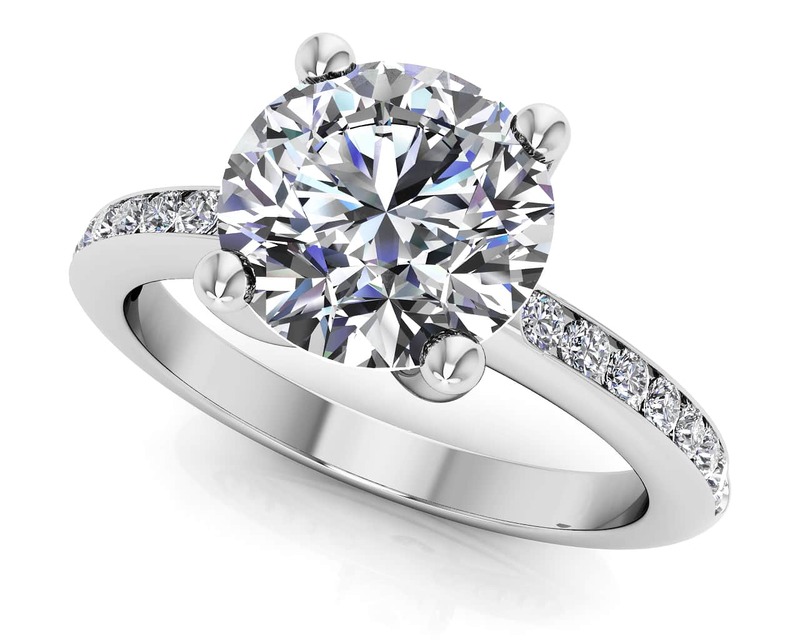 Elegant and unexpected, this stunning oval diamond engagement ring will capture her heart! 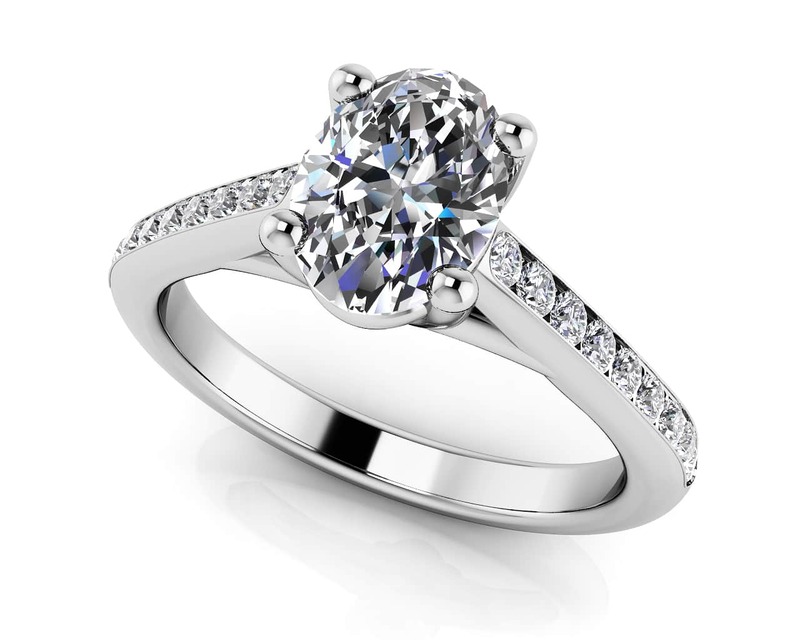 A beautiful oval diamond is set in a four-prong setting. The band features channel set brilliant round diamonds. Choose yours today in either a gold or platinum setting. Stone Carat Weight: 22X.008 ct.
Center Diamond Carat: 0.33 ct.